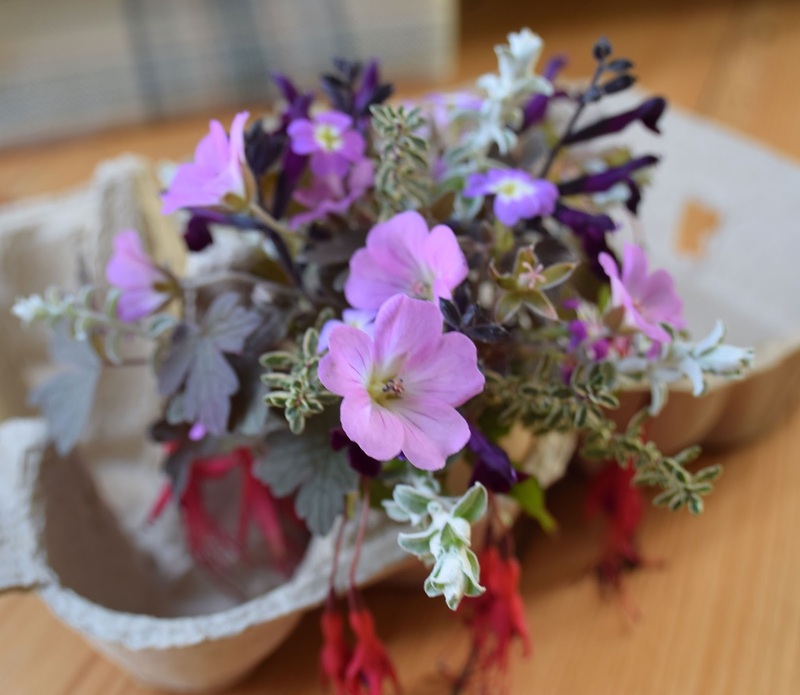 Cathy, from Rambling in the Garden, is celebrating 4 years of hosting In a Vase on Monday. For this week only she has challenged us to find something and arrange it using anything other than a vase. I've chosen to have a triple anniversary. 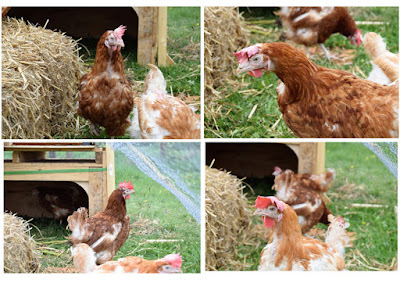 It's one year since I found her blog and started joining in and also 6 months since we got our hens and, hopefully, it has been the happiest 6 months of their lives. Apart from, perhaps, the day I left the forgot to open the coop door again after I'd cleaned the house out. When I went to shut them in that night, I found them all perched on the ramp and the outside ledge of the house looking settled but disgruntled. One was so settled on the ledge that I had to lift her in. It was high summer so not cold and I did apologise. (Bear with me, I am going somewhere with this). They won't turn round to face the camera but even their rear ends (excuse me) are fluffy. It does make me sad to see how scrawny they looked and I will be rescuing some more as soon as I can. A little plug for the British Hens Welfare Trust who do brilliant work in campaigning, educating and re-homing the hard working girls. 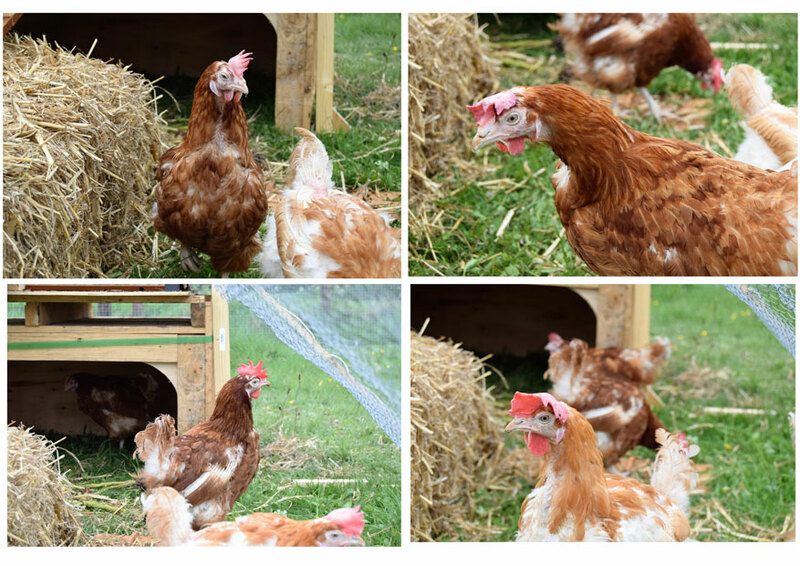 This is one of Jenny Hen's eggshells, she is the hen facing the wrong way in the picture and top right in the before shot. She lays a large brown egg almost every day. I'd thought of adding a nest but an egg box was the obvious choice for holding it. I do love tiny arrangements and we are getting short of large showy flowers now it's almost mid November. Silver foliage plant which I bought in spring for a container but can't remember what it is. And even though I tried to make it an all rounder, it still looks better from one side. Thank you to Cathy for inspiring us and encouraging us to share. She is always inventive and has something usual to share. It has been such a fun year and I must say I've added considerably to the list of plants 'I might like to have one day'! It's also good to know I'm not alone in this crazy and all consuming passion. Thank you, there are still quite a few flowers around but they are getting smaller. What a sweet thought and lovely input from your hens. A tiny and perfect arrangement! 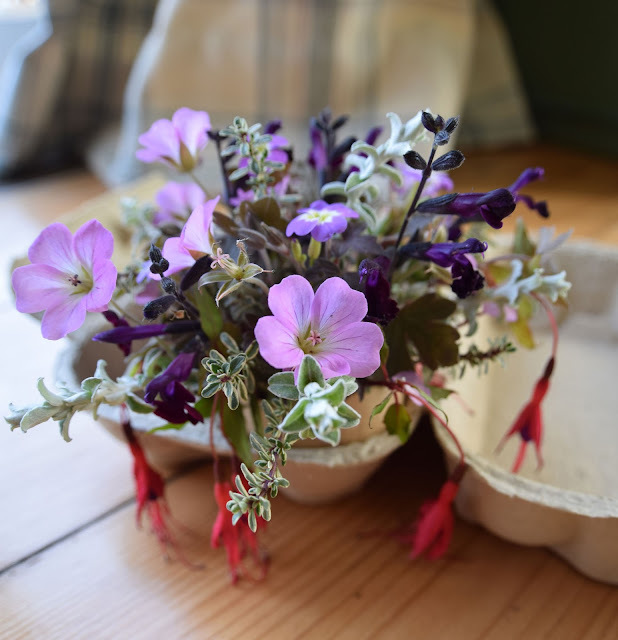 I mistook your geranium for a primrose at first - lovely post, that made me feel all warm and fuzzy! That is good to know. I could probably find a primrose if I tried, there is often one flowering. Oh you've certainly done justice to Cathy's invitation to think out of the box with such a sweet eggshell posy. I like the look of geranium 'Dusty Crug'. I had its relative Sue once upon a time but her foliage wasn't as attractive. Your chucks look all the fluffier and healthier for being in your care Alison. Thank you. 'Dusty Crug' is a wonderful plant and is growing near the purple salvia. They make a great combination. I think our arrangements will be going in the twiggy or miniature direction from now on. We will need to be more inventive. 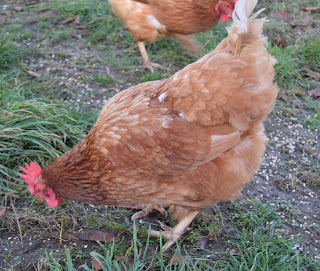 Our hens are still laying quite well but they are youngish. They have to odd day off but who can blame them? This is brilliant....I love the entire idea of the display and its meaning....and the flowers you picked are so dainty and bright...lovely! Thank you, I'm glad you like it. They are some of my favourite plants. Happy heniversary, Alison! What a sweet and very pretty salute to your hard working ladies. Such an adorable post and equally adorable flower design. I like tiny arrangements too. You've done a great job maintaining the scale and proportions. That rich purple saliva is nice. The salvia is gorgeous and I wonder how long it will go on flowering for. I have taken cuttings, of course. Hah hah, love your egg shell arrangement...will your ducks have duck egg blue shells? Chickens are so entertaining!!! Your arrangement is small and sweet, and like a good egg, would grace any table. Dizzy Duck, when she eventually lays, is supposed to lay dark eggs. I don't think she'll start now until the spring, do you? Pretty little posy! I'm glad the hens are doing so well - they look quite contented! They are certainly content. They might tell you they are hungry by their eager little faces but I assure you they never are. Ha! I knew you were headed somewhere all along and enjoyed it all the more that you provided context along the way. I'd like to have chickens, although I think my husband would be appalled and then there is the fact that our area has a coyote problem and our property isn't fully fenced. 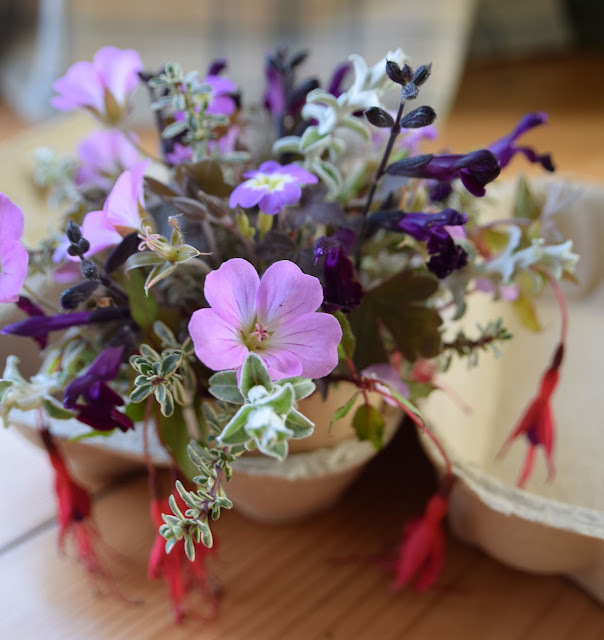 Your eggshell creation is simply lovely. We did spend a long time building a secure run which was worth all the work. It's quite large and they have to stay in it so they don't destroy my garden. 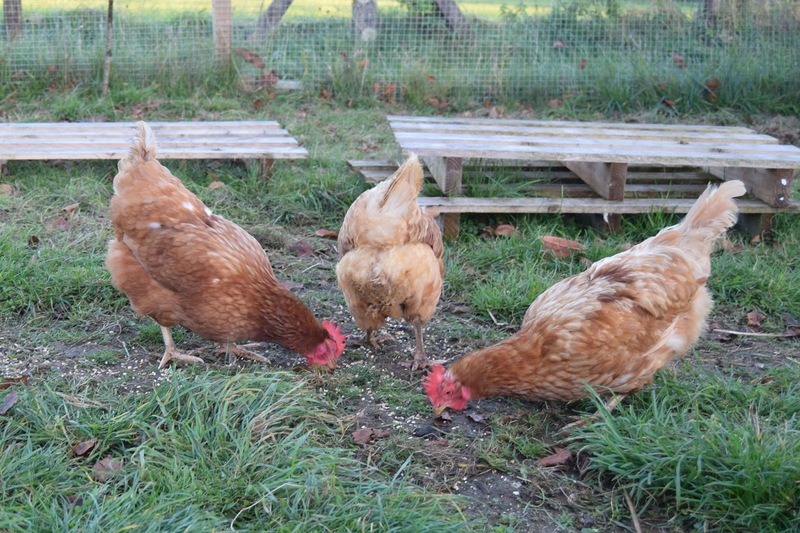 The eggshell posey, divine and the chickens look to be in fine feather. I think the grey plant is a Texas Sage, Leucophyllum something. Oh thanks, I'll look that up. What a delightful arrangement! Happy anniversary to you and your lovely, happy hens. Thank you, it still looks fine several days later. How lovely to have hens. I doubt we could as we have a cat but although we live in London in a very urban street, some neighbours do have hens. 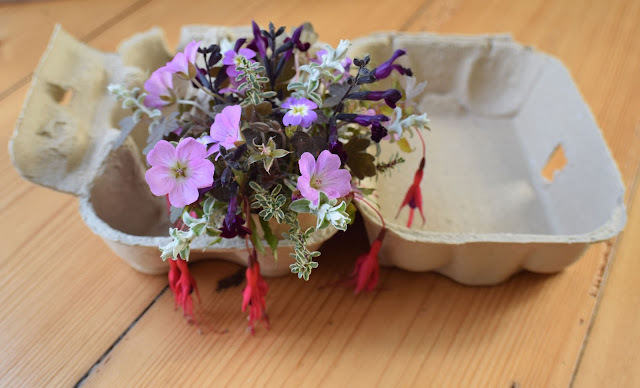 I love your egg box arrangement - I did try using salvia Amistad but the flowers dropped off as soon as they came indoors. Anyway, well done winning the book. Congratulations on this winning entry. Not at all surprised Alison..even though there was plenty of flowery competition.